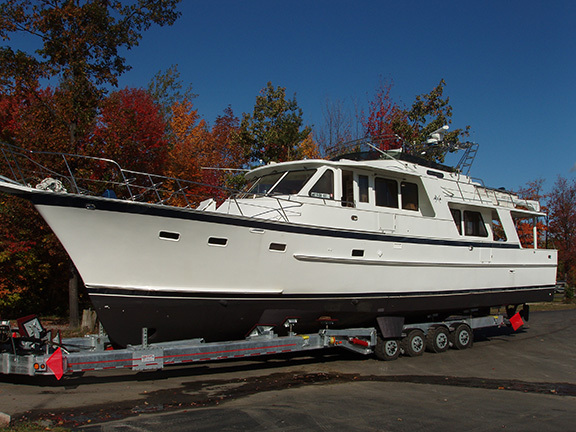 In Charlevoix, Bergmann Marine's service department provides engine diagnostics and repairs, along with other services for transmissions, generators, electrical systems, refrigeration, riggings, gelcoat, awlgrip, fiberglass, bright work, exterior & interior woodworking. Storage options: Preserve your investment and peace of mind. 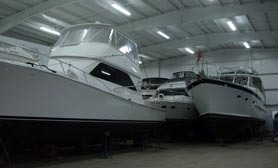 Prepping, covering and providing adequate, safe storage for your boat is an investment in its future value. It also serves to help eliminate the possibility of more costly repairs come spring - after the winter havoc has wreaked devastating damage. 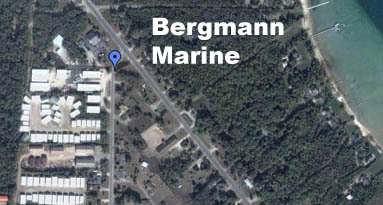 Bergmann Marine offers 120,000 pound haul-out capacity for power or sailing crafts, 70,000 square feet of heated and 40,000 square feet of cold storage space. All that space empowers us to offer the most competitive prices in our market. 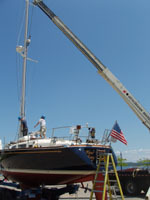 Unsure which steps to take to prepare your boat for the coming months? Confused on which storage method is appropriate and which is overkill? Just call our experts at 231.547.3957 and we'll coach you through the process. Our competitive rates are per square foot. Click here to complete our online winter storage application.